The UK has so many spectacularly beautiful places to visit that it’s hard to shortlist it to a few – but these are some of our top picks! From historic towns to gorgeous hikes, these stunners are well worth a visit. Cross the Kirkstone Pass by car, bike or on foot to appreciate breath-taking views of the Lake District. Visit the famous Kirkstone Pass Inn near the summit to enjoy a hearty meal of traditional food and some local ales and beers. But be warned – it’s rumoured the Inn is haunted. Bath is a town set in the rolling countryside of southwest England. 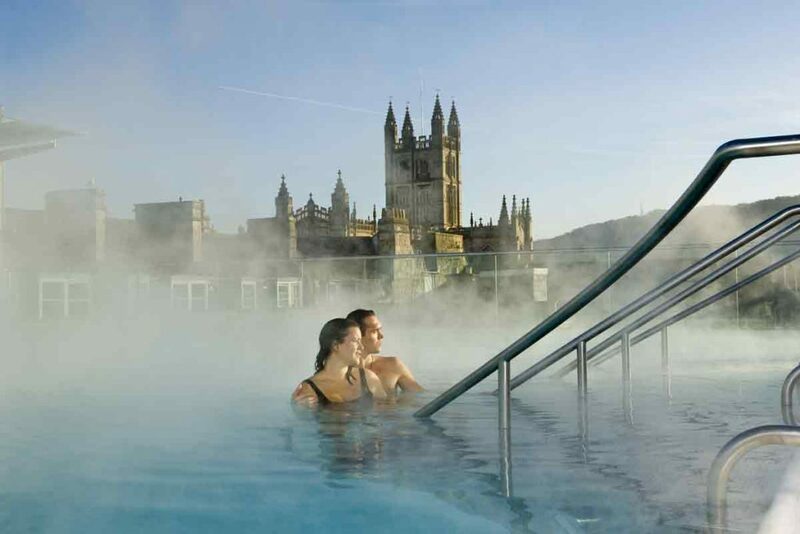 Famed for its 18th-century Georgian architecture, it is home to Britain’s only natural thermal spa, where you can relax in the warm healing waters and enjoy breathtaking views of the historical town. Ben Nevis is the highest mountain in the British Isles. It has snow all year, so if you’re into climbing, skiing, or snowboarding, this is the place to head to. 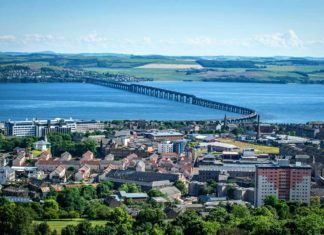 It’s also an Area of Outstanding Natural Beauty that is perfect for relaxing and reconnecting with nature. 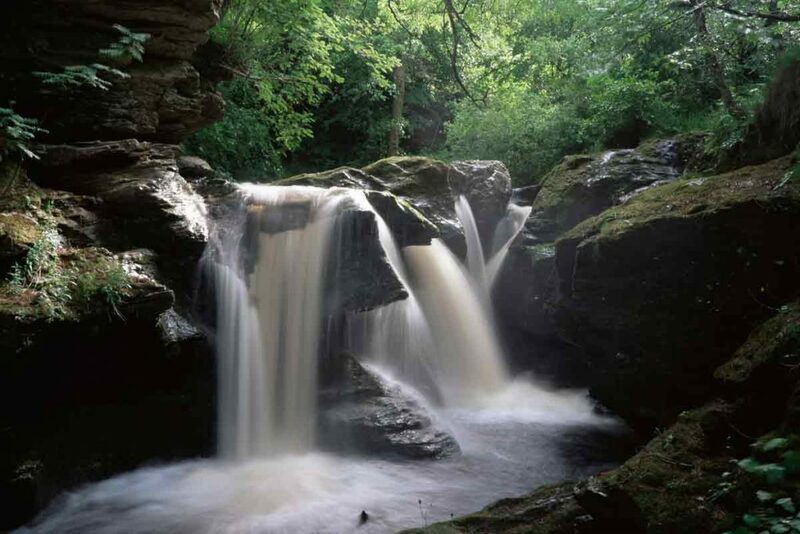 The Falls of Edinample is a natural beauty spot located near Lochearnhead, Stirling. 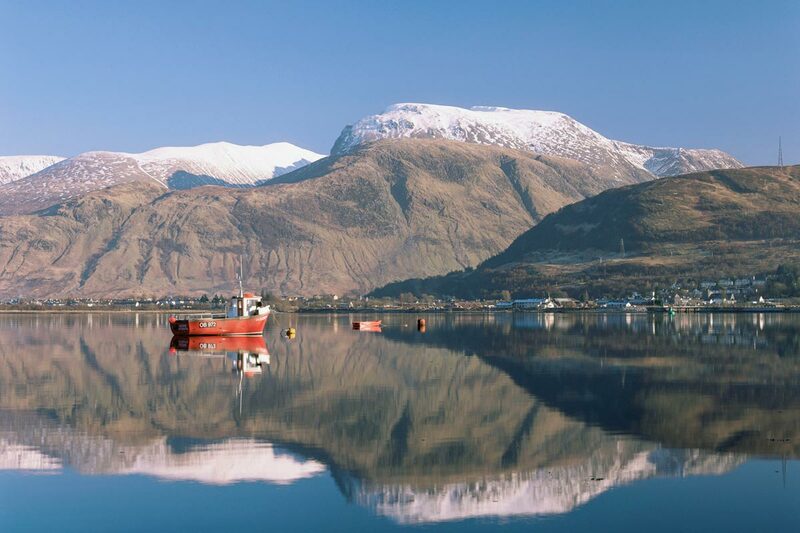 Take a walk around the nearby village, admire the surroundings or enjoy some exhilarating watersports on the loch. 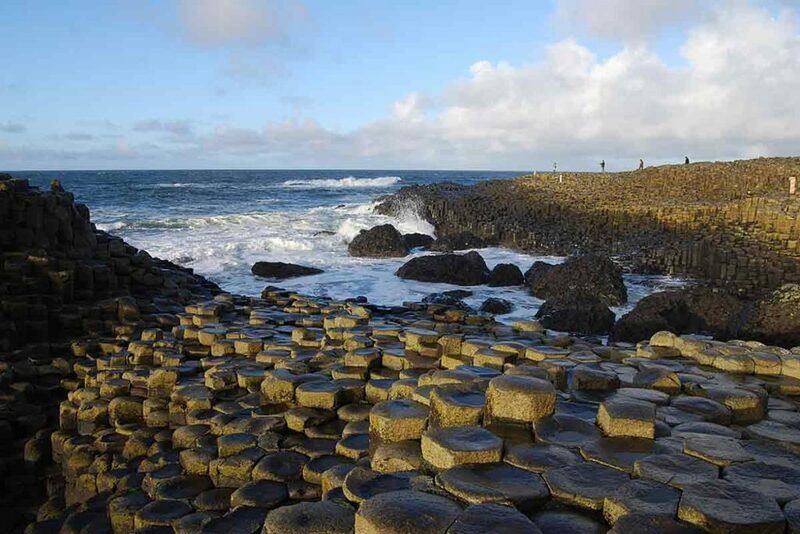 The large columns, of all sizes, that rise from the sea to form stepping stones are a natural phenomena caused by a volcanic eruption. The 40,000 interlocking columns are World Heritage Site. 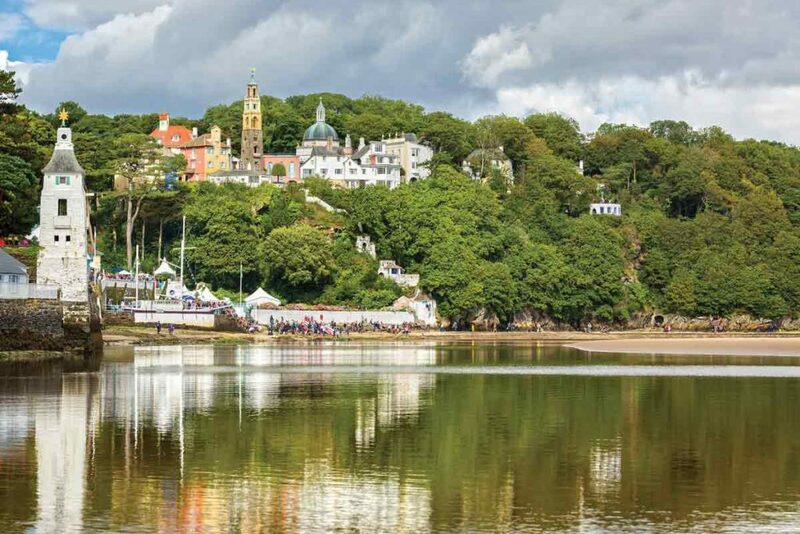 Designed in 1925 by Clough Williams-Ellis, Portmeirion is one of the most unique villages in the UK. Surprisingly it looks more Italian than British. It also rose to fame as the beautiful backdrop to the 1970s hit TV show ‘The Prisoner’. Jersey isn’t officially part of the UK, but we wanted to include this destination anyways because it’s so unique. Whilst it is an English-speaking territory, it has a mix of British and French cultures. Jersey’s claims to fame are its beaches, cliffside walking trails, stunning valleys, and fabulous castles. 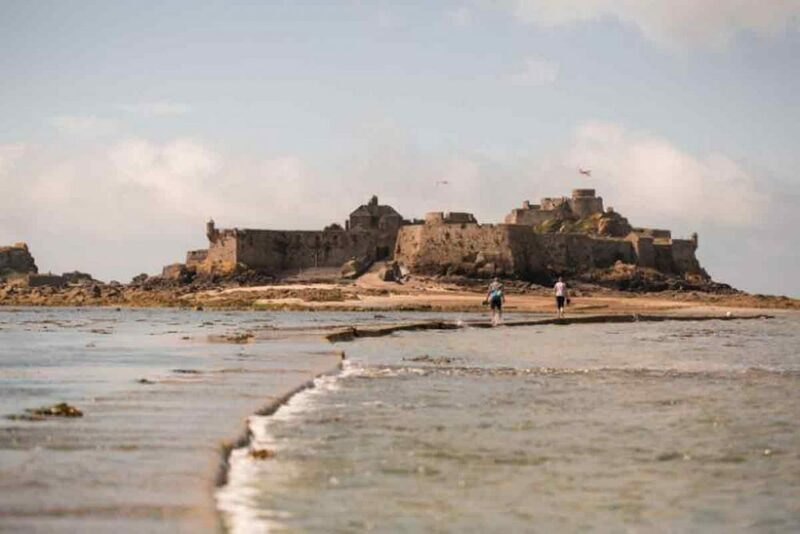 Visit Elizabeth Castle, which defended Jersey for more than 400 years and is only accessible at low tide by foot or the castle ferry. Cornwall is nicknamed the ‘Cornish riveria’ for its good weather, sandy beaches, and rugged cliffs. 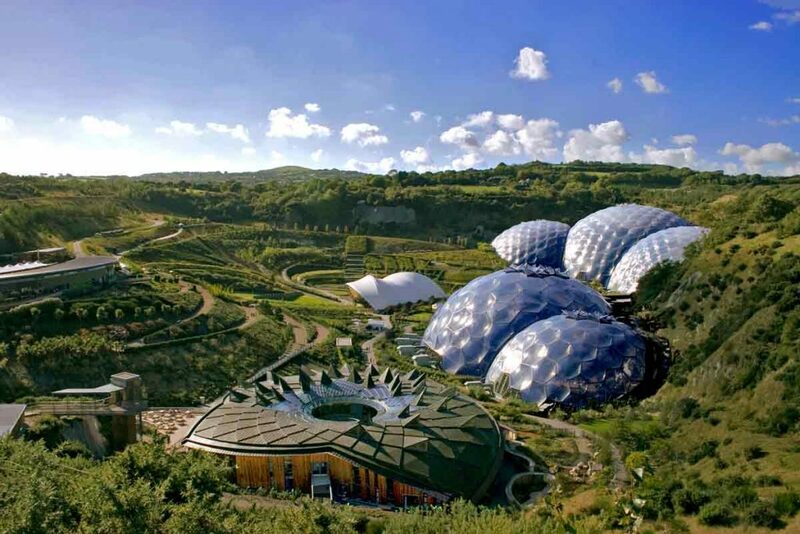 It is also home to the Eden Project, a series of large bubble-like greenhouses that showcase plants from around the planet. 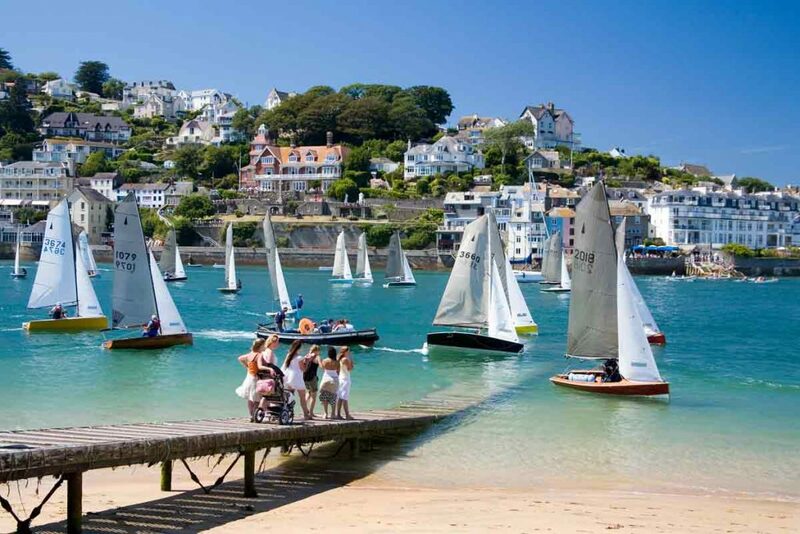 This postcard-perfect village has pretty pastel-coloured houses and is known as the sailing capital of Devon. It is a great place to come to admire the natural beauty of the coast line, the cute little village, and the impressive sailing boats during the annual Regatta. 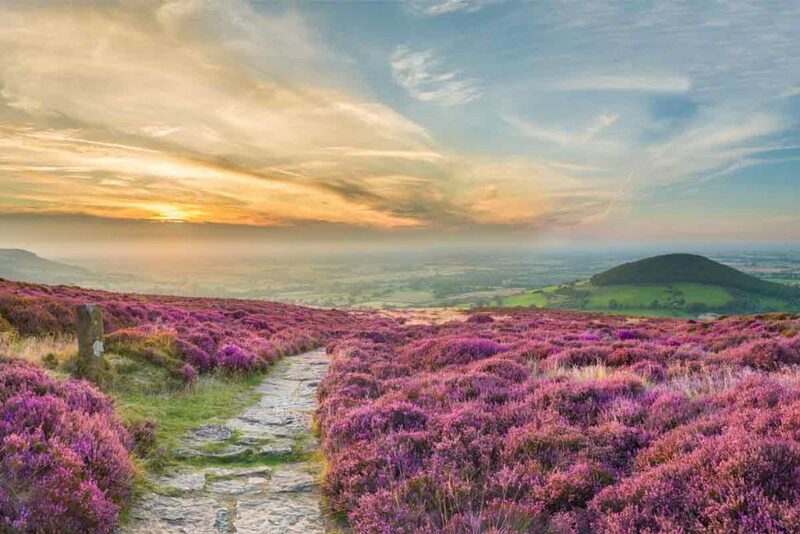 The coastline of North Yorkshire is magical whatever time of year, with dramatic cliffs and moorland filled with brightly-coloured heather. It can take several days to hike the whole coastal route. If hiking isn’t your thing, walk a smaller portion of it that will take you through the attractive market town of Helmsley and the famous seaside town of Scarborough.